Craft Show with a refreshing contemporary twist! Craft in Focus events have earned an enviable reputation for selecting only the very best professional designers, artists and craftsmen for their individuality and innovation in contemporary design. Purchase from a stunning treasure trove of original and affordable designs created by some of the finest craftsmen and artists in the UK. Textiles, paintings, furniture, metal, leather, ceramics, jewellery, glass, fashion and more. 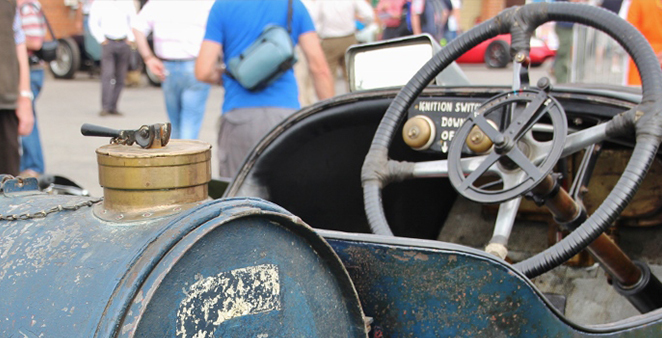 The Craft Fair will take place within the historic Brooklands site. Normal Museum admission applies and allows access to both the Craft Fair and Museum exhibitions (additional charges apply for Concorde and the 4D Theatre). Last entry one hour before closing. Friday 17th: Parking for visitors will be in the Brooklands Community Park via Wellington Way, with a Park and Ride service provided by London Bus Museum. Please follow event signage on the day. Blue badge holders can park on site, please use the Campbell Gate Entrance off Brooklands Road. Saturday 18th and Sunday 19th: Parking for visitors will be in The Heights off Wellington Way. Please look out for event signage on the day. Blue badge holders can park on site, please use the Campbell Gate Entrance off Brooklands Road.